What can boost the optimism in the United camp? There was a sense of disappointment among Manchester United fans during the January transfer window when no more big name signings were added to the squad. It is a widely felt opinion that defenders were needed and the fact that nobody was signed will be frustrating for the fans to see. However, I feel that the squad isn't too far away from challenging for the title next season given a few changes in formation and with a few signings to fill certain positions. The formation I would go with would be a 4-5-1 or 4-3-3 depending how you look at it, and that would best fit the players they currently have and gives the team better balance. My take for an ideal United side in the future. As the picture shows I would start with David De Gea in goal, this would be a unanimous decision as he is without doubt one of the best goalkeepers in the world and his absence would be a massive blow to United. One of the first positions I would look to improve would be the right back position, Rafael, Paddy McNair, Chris Smalling, Phil Jones and Antonio Valencia have all had time to play in this position and have not lived upto the standards that Gary Neville used to set. Nathaniel Clyne would be one of the first names I can think of that United should be looking at, his defensive abilities are at a high standard and his attacking intent is what is lacking at Old Trafford, delivery from wide areas has been very poor this season. Luke Shaw will no doubt be one of the best full backs in the Premier League given time and the right training and management. However at his young age, using him as a wing back can leave him exposed, so having a winger to help out defensively would be a massive help for him. The centre halves I would choose would be Marcos Rojo and Phil Jones, Rojo settling in very quickly since his arrival from Sporting Lisbon in the summer, and looks to be the most comfortable defender in the squad, combining his physical presence along with ability to play the ball, and appears to be a very good bit of business for United. Phil Jones will no doubt be a better centre half than right back and is above Chris Smalling and Jonny Evans in the pecking order, however the only concern with him is his commitment can often lead to getting himself injured. Going into the midfield, I would use Daley Blind as a holding midfielder given his performances in the last few games he has become more comfortable for United, dispossessing the opponents and triggering attacks. In front of him, I would have Wayne Rooney and Angel Di Maria, in my opinion the most creative players in United's squad, Di Maria is best running at players and goes past them like they aren't even there at times, also his ability to try things that would seem impossible to others means he has to feature in the team, Rooney is slowly filling the void left by Paul Scholes, which has been huge, goals from midfield had been vital during Sir Alex Ferguson's reign and will be just as crucial going into Louis Van Gaal's time at Old Trafford. Ferguson also built his attacking style of play with wingers who were either very quick or had the ability to deliver the ball into the box at a very high standard, David Beckham's delivery from wide areas was crucial for United, take the Champions League in 1999 for example, and on the other side was Ryan Giggs who left many defenders for dead. Cristiano Ronaldo also has to be mentioned as he often carried the team through matches. Van Gaal's method of playing 3-5-2 only leaves one player on either wing and gives the opposition less to worry about in wide areas, therefore using the formation showed in the picture I would have Adnan Januzaj and would sign PSV winger Memphis Depay, the Dutch player having played for Van Gaal in the national team. Januzaj would be better served playing as a winger, and hasn't had the chance this season to show his qualities, United fans will want to see what he is capable of and I have no doubt given the chance to play there for a long period of time he will be one of the best wingers in the world. Depay is rumoured to be close to a transfer away from PSV and United would be a very good destination, he is a very quick player and would cause many problems to defences in the Premier League. Radamel Falcao would be my final choice as I believe over time he will regain the qualities he once had at Porto, Atletico Madrid and Monaco, and would best suit this formation, his aerial ability is brilliant and has clever movement in and around the box, he just needs a regular run of games and a few goals to boost his confidence. Finally, I feel that there isn't too much to be changed to have a successful team, and the additions to the squad wouldn't come at a huge cost given the current transfer climate. However, coming up with this team has come at the expense of some great players including Michael Carrick, Robin van Persie and Juan Mata being a select few, these players will increase competition for the first team, and will make the squad a lot stronger. More football comment: Zouma-Varane to lead France? Juventus: Can Pogba break £100m fee? 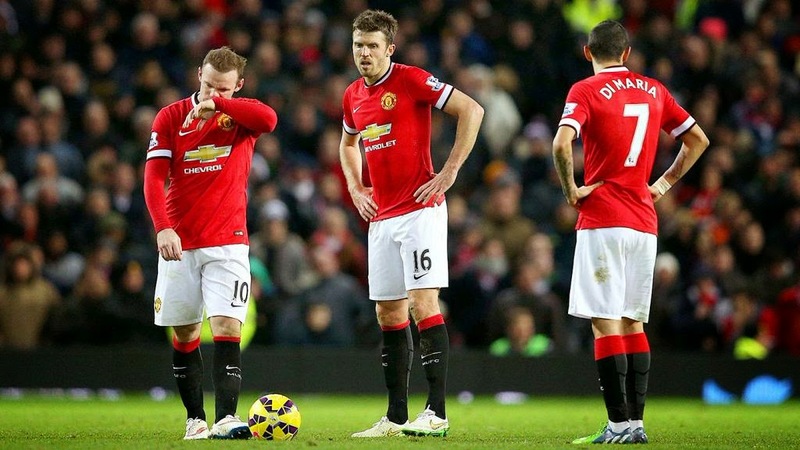 With issues reverberating around the Manchester United camp, what are the solutions?